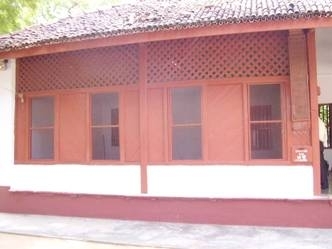 Back to India, Gandhi decided to found an “ashram” like his farm in Phoenix and Tolstoi’s Farm. He settled in Ahmedabar, in the Indian state of Gujarat, 460 kilometres far from Porbandar, the town on the Arabic Coast where he was born. He would serve his country using “gujarati”, his mother tongue. The first “aspram” was built in 1915. 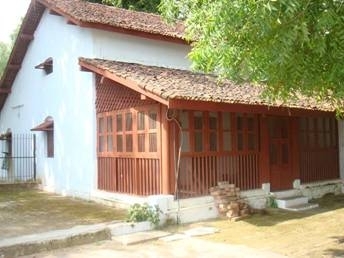 Gandhi called it Satyagraha Ashram, because – he explained – “I wanted to let know our method used in South Africa and see if, in India, would be the conditions to do something similar”. 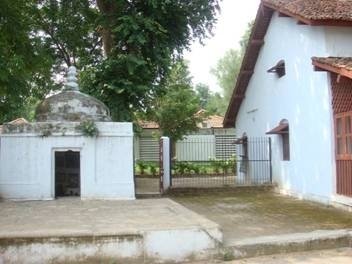 His life in the new ashram was quite peaceful until the day there was a pestilence in the village of Kocharab. 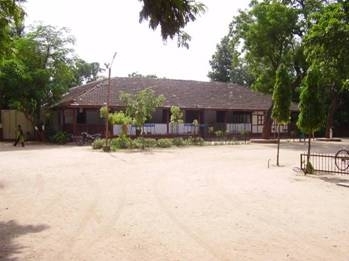 Then Gandhi decided to leave the place where he was living and moved to a northern place respect to Ahmedabar, placed on the right bank of the river Sabarmati. There he found a new ashram known as Sabarmati Ashtram. 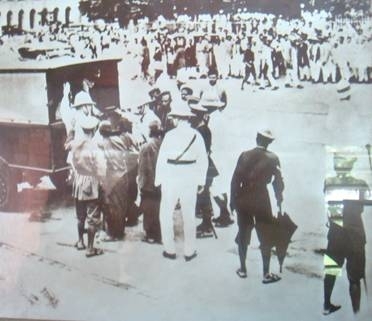 It was opened by Gandhi himself on 17th June 1917. At that time, he was supported by 40 people , more or less. At the beginning, they lived in a small camp altogether, although there were lots of dangerous snakes around that place. At the entrance of the ashram we can still find, listed in English, all the duties that the people who lived in the ashram had to follow: “Thruth, Non-violence or Love, Chastity (Brahmacharia), Control of the Palate, Non-stealing, Non-possession or Poverty, Swadeshi, Fearlessness, Removal of Untouchability, Equality of Religions, Physical Labour”. 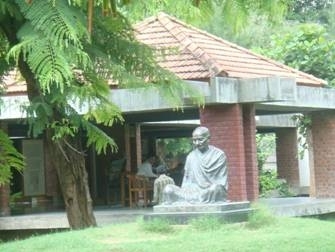 Gandhi’s followers still live in that house and its area and they sometimes find peace resting in its garden. We can find a notice on an outer wall: “I wouldn’t like to see my home bricked up, neither the windows. I would like to see that all the cultures all over the world may enter freely into my home. But I will never accept that anybody tries to throw me out of my home. Mahatma Gandhi. It seems as Gandhi gave some suggestions to nowadays Indian society and how it has to face the challenge of modernization. It is in this way that we begin our visit to this Indian Museum, fight emblem of spirituality. The shots were taken a few hours ago by an Indian friend and they will be spread on this site with the advice to show always the origin: www.ecumenici.eu We think that will be the best way to begin the celebrations about Gandhi’s birthday, on next 2nd October, called by the great Indian poet Tagore Mahatma (or Great Soul in Sanskrit), Every year, on 2nd October, we celebrate the world day of Non-violence. Gandhi is known as one of the main pioneers fighting against any form of tyranny applying the massive civil disobedience, which drove India to its Indipendence.